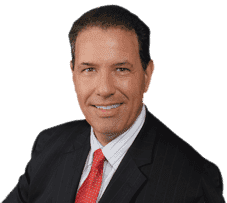 Your experienced Slip and Fall Attorney for Pompano Beach, Robert E. Gluck has the necessary credentials to be a successful personal injury attorney. A slip and fall accident can happen when someone falls on another person's property or in any public place. It can be a result of using a broken product, slipping on a wet floor, walking in poor lighting, or anything of that nature. Robert E. Gluck has to first prove negligence, and once he does your case can be fully pursued. Call Robert E. Gluck today to schedule a free consultation to speak to him. Your Slip and Fall Attorney in Pompano Beach, Robert E. Gluck, will work hard on your behalf and will try to get you the financial compensation you deserve. Once negligence is proved and the case is fully launched, Robert E. Gluck will use the evidence he finds to build you a strong case. Negligence happens when a person doesn't follow a proper standard of care. He will serve as a powerful voice on your behalf and provide you with the emotional support you need. The guilty party will be held accountable for your medical bills. Robert E. Gluck, your Slip and Fall Attorney for Pompano Beach, will increase your chances of winning your case. Studies show when an injured person has legal representation they are more likely to receive a settlement. Robert E. Gluck will protect your legal rights and fight for you to receive a settlement. Using his professional legal skills and compassionate nature, Robert E. Gluck will pursue the case aggressively. He will make you feel more confident and less stressed by being at your side and providing you with emotional support. Contact Robert E. Gluck as soon as possible, do not wait. Your Slip and Fall Attorney for Pompano Beach, Robert E. Gluck will work to your advantage by gathering all the evidence he needs to build a powerful case. He will speak to witnesses and get their written statements, take pictures of the accident scene, preserve video footage, and look for property damage. With Robert E. Gluck on your side, your chance for winning a settlement are greatly improved. Do not wait too long to hire your personal injury attorney, the sooner you do it the better for your case. Call Robert E. Gluck today to make your appointment.